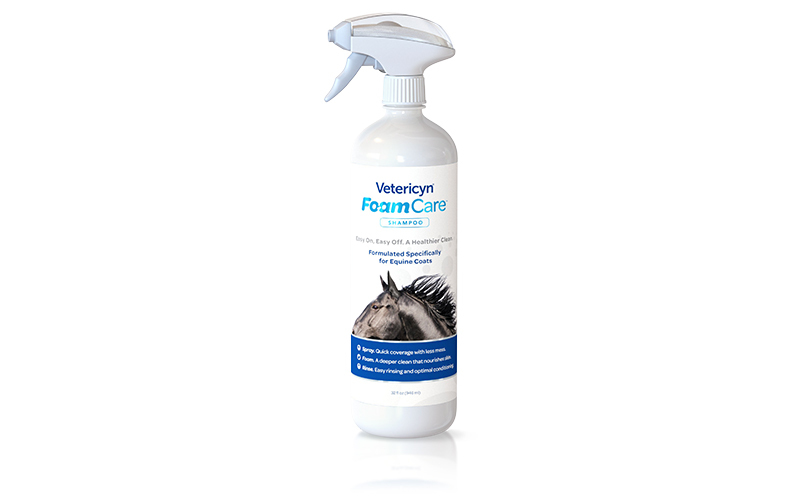 Vetericyn FoamCare™ Equine Shampoo is specially formulated for equine hair, providing the best in coat cleaning and conditioning, with optimal rinsing. With its innovative foaming spray applicator, FoamCare is applied evenly with less mess—simply from the squeeze of a trigger. Vetericyn FoamCare™ Equine Shampoo supports optimal skin & coat health and is non-irritating, pH optimized, and retains the essential oils in your horse’s skin. It’s the new easy on, easy off shampoo that makes bathing your horse more fun with less stress!